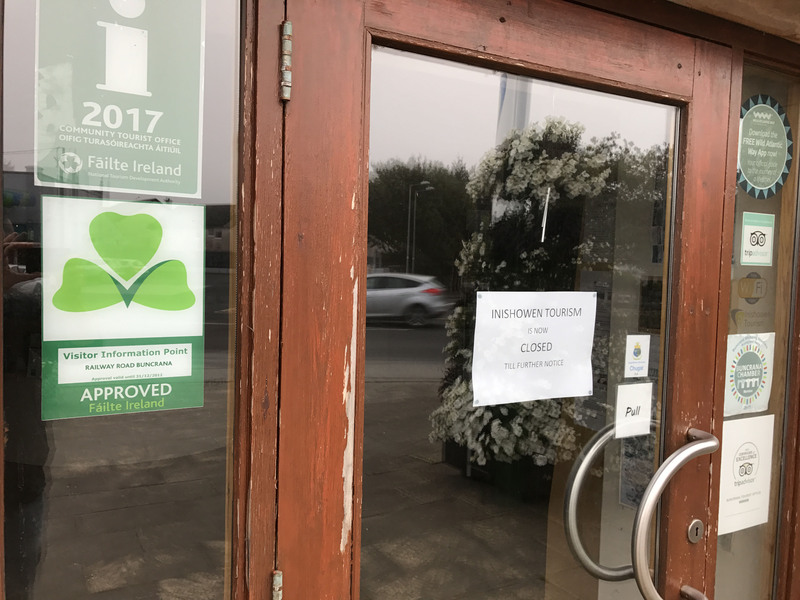 The Inishowen Tourism office in Buncrana is closed ‘until further notice’. Inishowen Tourism closed its doors on Friday after almost thirty years, with the loss of seven jobs. The company, which attracted thousands of worldwide visitors annually to its website, employed six people in its Buncrana office and one additional person at a kiosk in the Carn Public Services centre. Contracts for all seven employees were terminated on Friday morning after funds to pay their wages ran out. Pobal, the State agency that funded Inishowen Tourism, ceased funding it on June 30 following a damning report into the organisation by consultancy firm, Crowe-Horwath.